Property fund manager Primewest engaged IA Design as the lead design consultant to create a dynamic, sustainable and flexible show suite for 1060 Hay Street, Perth. The brief was to create a functional yet innovative space that could be marketed for lease to small to medium-sized organisations. With no particular client in mind, IA Design designed the space to appeal to a wide range of potential tenants, using neutral and homely finishes, high quality lighting and sophisticated furniture to encompass a high-class space. 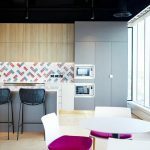 A key focus for Primewest was to create a commercially compliant office design that showcased the potential of the space (up to 600m2 tenancy). This was successfully achieved through careful spatial planning, ensuring the most efficient use of space throughout the floor. 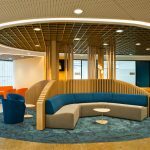 Despite being constrained to the use of neutral finishes, the IA Design team successfully created a vibrant and workable space for multiple organisations to be attracted too. The end result is a refreshing and impressive tenancy that showcases the advantages of the space to potential tenants.